Questions remain about the cause of a loud bang that was heard in many parts of Sudbury on Monday evening. Just about the time some Sudbury residents were sitting down to dinner on Monday evening, a big bang rattled their homes about 5:30 p.m. That was about the same time Vale employees were pouring hot slag on the frozen ground. Vale's Corporate affairs manager, Angie Robson, said it's not unusual to hear a slag pop during extremely cold weather, but she said the company is investigating the incident. "We were hearing reports of impacts felt as far as New Sudbury, which is frankly difficult to reconcile with what happened at the slag dump." Laurentian University professor Graeme Spiers. (Markus Schwabe/CBC)Laurentian University professor Graeme Spiers said the sound from a slag pop can travel far. 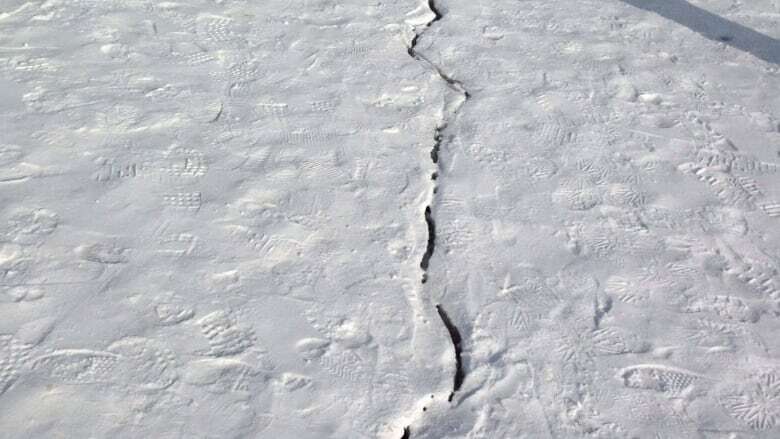 But he's not ruling out the possibility of a frost quake, which happens when ice in the ground expands and causes cracks. “As most things cool, material contracts and then it will crack along plains of weakness between the molecules that make up the material.. And if that crack is big enough, it will create sound and you'll hear it,” he said. Spiers says that sound wave could travel as far as New Sudbury and Coniston, where the loud bang was reported. Earthquakes Canada said it can't confirm if there was a frost quake, but it remains a possibility.